Want to learn more about your BERNINA machine? Each lesson showcases features and benefits of your machine through a fun and inspirational project. The class will focus on a quick and easy projects and includes a 15 minute video lesson featuring on-camera demonstrations and project or technique instruction handouts. 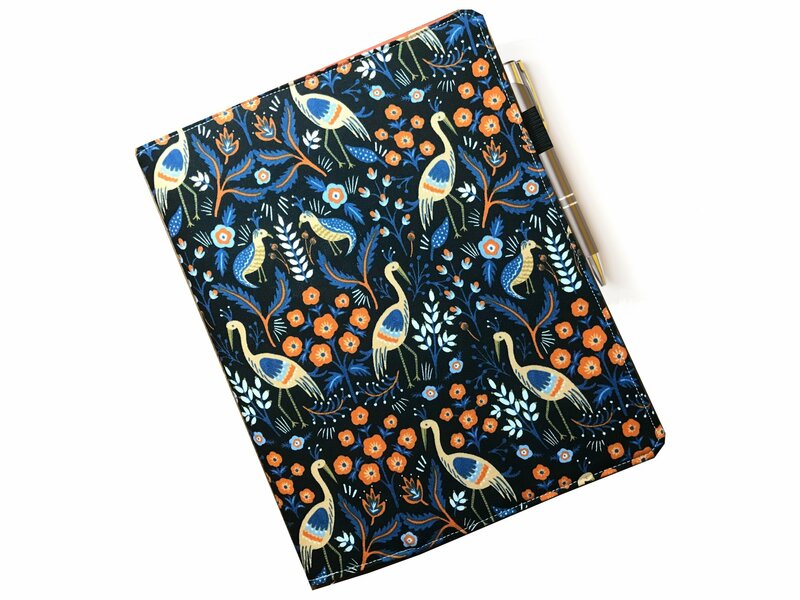 Month 1: Composition Notebook Cover - Keep your notes and thoughts organized in a personalized notebook cover! 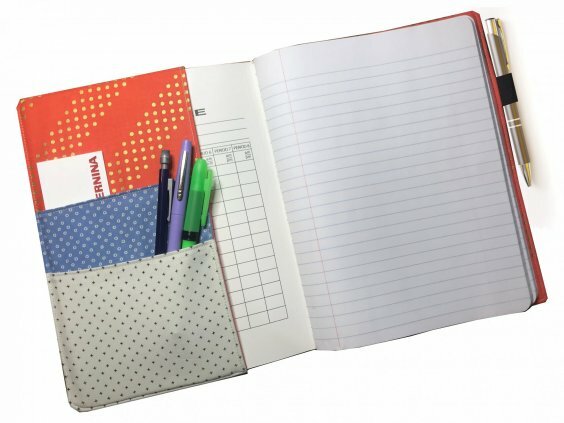 This quick project includes pockets and a pen holder for writing and storage on the go. It utilizes simple patchwork and finishing skills. Month 2: The Quick Corky Wallet - Try your hand at sewing cork with a simple and quick envelope-style wallet! This easy project makes for great gifts and showcases the utility of BERNINA non-stick sole presser feet. Month 3: Wacky T-shirt Throw - This Wacky T-shirt throw will go together easy and fast. Cut the focal point from your T-shirt and add strips to the sides and top and bottom to make it an 14 inch square. Stitch 20 together to make a 48 by 64 inch top and them quilt as you desire! Month 4: Fast Fun Placemats - These fast and fun placemats are made with So9ft and Stable by Annie and 2.5 inch wide strips of fabric. The ever popular flip and sew method will make fast work of these placemats. You will want to make a set for every season or occasion. Month 5: Modern Heart Wall Hanging - Make this sweet scrappy heart wall hanging with a modern twist. Learn Applique,, embellishment with decorative stitching and stitch designer (880 machines only). This project is beginner friendly! Month 6: Take-Along Pouch - The Take-Along Pouch is a fun, simple project that is useful. Make them as quick gifts, or make several of them to store all the little items that you want to Take Along. Learn Buttonholes, sewing in a casing, and a simple turning technique. Does not include supplies needed. 10% discount when purchased at Sew Much Fun!